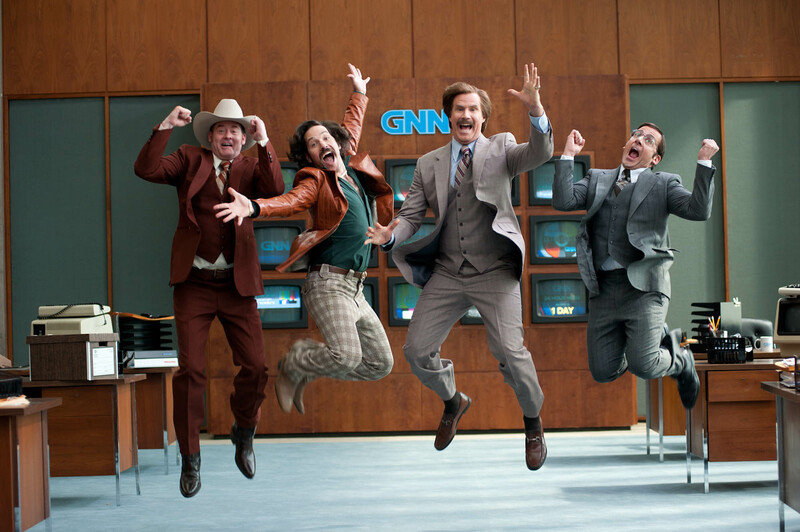 “Anchorman 2” opens Wednesday at Point, Eastgate and Star Cinema. PG-13, 1:19, two and a half stars out of four. At one point in “Anchorman 2,” Ron Burgundy bottle-nurses a shark back to help, and then gently sets it free in the wild, where it happily devours other fish to the strains of a “Born Free”-like ballad. What does this have to do with early-’80s newscasting, exactly? Nothing, which is part of its genius. It’s just one of those random moments that longtime partners Adam McKay and Will Ferrell like to throw into their films, just because they can. 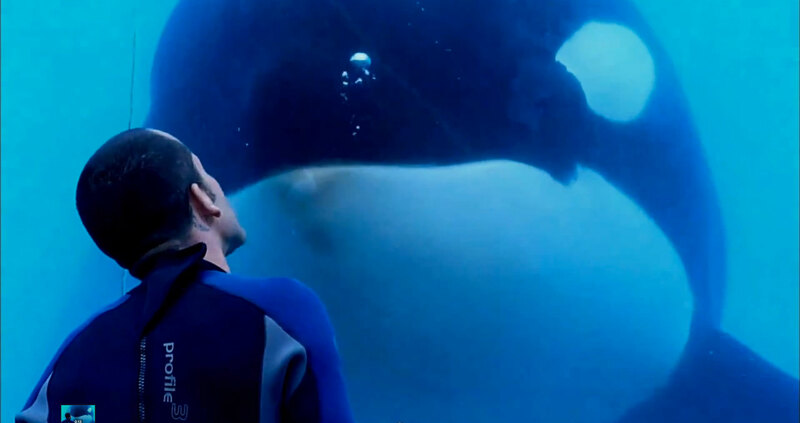 Pick of the week: “Blackfish” — My full review is here. There have been better documentaries released in 2013, but none as immediately effective as “Blackfish,” which shines a light both on the mistreatment of killer whales at SeaWorld as well as how trainers have been left in the dark about those abuses, with sometimes fatal consequences. “I can’t help it,” Lola (Marlene Dietrich) sings languidly from the stage at the Blue Angel cabaret, bemoaning the inadvertently ruinous effect she has on men. Which somehow makes it worse — you destroyed my life, and you weren’t even trying? 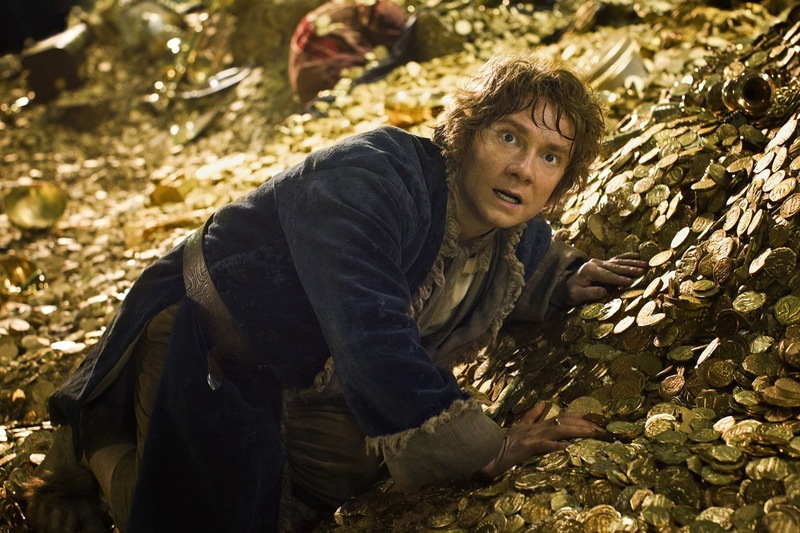 “The Hobbit: The Desolation of Smaug” (Point, Eastgate, Star Cinema, Sundance) — The first installment of Peter Jackson’s overinflated three-film adaptation of a trim fantasy novel was flabby and frenetic, but the reviews say this one is better. Bonus points for saying “Sma-oog” correctly when you buy the ticket. “A Touch of Sin” has its Madison premiere for FREE on Friday, Dec. 13, at 7 p.m. at the UW-Cinematheque, 4070 Vilas Hall, 821 University Ave. Not rated, 2:05, three and a half stars out of four. 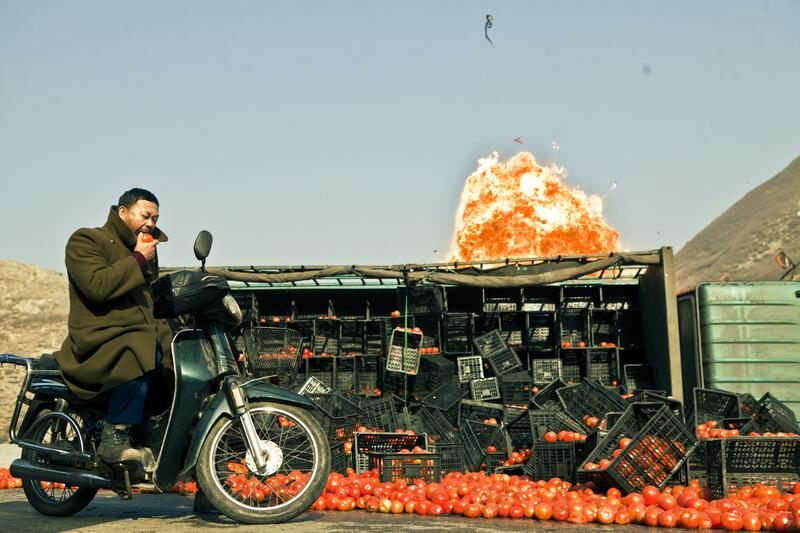 China is changing and the films of Jia Zhang Ke are changing with them. Jia’s previous films (“The World,” “Still Life”) gazed at ordinary Chinese citizens adrift in a country that was changing around them, uncertain if there was a place for them in it. 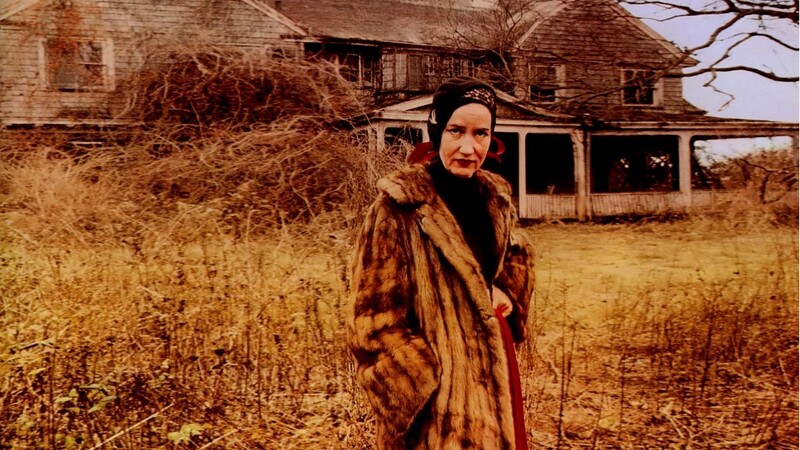 Were Big and Little Edie Beale, the subject of the cult favorite 1976 documentary “Grey Gardens,” the first “celebreality” stars? All the elements seem to be in place for a series on E! — a pair of bonafide eccentrics unabashed about revealing themselves for the camera, who have an adjunct connection to a star (in this case, the cousins of Jackie Onassis). But dig into the new Blu-ray Criterion Collection edition of Albert and David Maysles’ film and you’ll find it goes far beyond “Keeping Up with the Kardashians.” Ninety minutes with the Beales in their decaying East Hampton mansion is an experience that’s hilarious, awful, touching and a little scary. If the camera exploits their plight, the Beales are fully aware of it and participants in the exploitation. The movie opens with a flurry of headlines — the decrepit Grey Gardens mansion is about to be condemned and the Beales evicted, so family members (including Jackie O) fix the house back up. The Beales move in, but start allowing the place to slowly fall apart again (one way to tell the passage of time in “Grey Gardens” is watching how a raccoon slowly destroys one wall). The Beales are much less interested in home upkeep and much more about talking, mother and daughter circling around and around the events of the distant past, quarrelling and laughing and singing and crying. The mother, Big Edie, sits in her single bed, the sheets covered by old photo albums, papers and other detritus of the past. Daughter Little Edie stalks around in a variety of bizarre homemade “costumes,” a scarf ever-present on her head, carrying on a rambling monologue in the plummy tones of high society. Cate Blanchett’s performance in “Blue Jasmine” must owe a little to Little Edie, that sound of privilege adrift. “Everything good — that’s what you didn’t do,” Big Edie says acidly and memorably in response to one of Little Edie’s tirades about how her mother held her back and didn’t let her fall in love, pursue her dancing career, or otherwise live the life she wanted. A big part of “Grey Gardens” is about regret, how it can consume us and how we can vanquish it. The Beales may be pariahs in polite society, but they’ve certainly created their own iconoclastic existence within the walls of Grey Gardens, almost a dark mirror of the other mansions in the Hamptons, where family secrets are kept well hidden. It’s no wonder the film was such a cult hit — every time you go back to it, you pick up more dialogue, understand better the whirlwind of emotions and memories in that house. It’s clear, from the film and from the interviews with Albert Maysles included on the DVD, that the filmmakers loved these women, and the four of them develop a strange chemistry that’s rare for documentary film. Criterion first released “Grey Gardens” on DVD in 2001 — this new Blu-ray version includes a new 2K restoration, but also another full-length documentary, “The Beales of Grey Gardens,” made up footage the Maysles didn’t use in the original film. Which is good, because after seeing the original “Grey Gardens,” you’re going to want to spend some more time visiting the ladies. Pick of the week: “C.O.G.” — David Sedaris fans will want to check out this big-screen fictionalized adaptation of one of his essays, as an arrogant Yalie (Jonathan Groff of “Frozen”) spends the summer picking apples with the common people in Oregon.